Many of you have asked me why I travel so frequently. The short answer is, most of the time it is to provide education to others, however, often it is for my enlightenment. 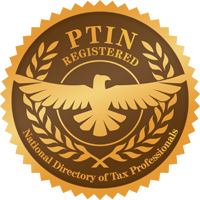 I am continually learning, and it is not always on tax-related subjects. I am also a prolific reader of history and suspense novels, and I learn from everything I read. Unfortunately, as I get older I find that I do not remember everything that I read. It’s frustrating! I just returned from Las Vegas where I took 18 CE hours in tax representation and taught a session in advanced representation planning. Both the teaching and attending the sessions help me to become a better practitioner by staying on top of the quickly changing tax laws. I generally take between 80-100 credit hours of education per year, not to mention the hours I spend researching, writing and enhancing my knowledge on the topic I teach. Remaining stagnant and not expanding your mind can be just plain mind-numbing. Learning can be a constant source of enjoyment once you find a topic(s) that interest you.